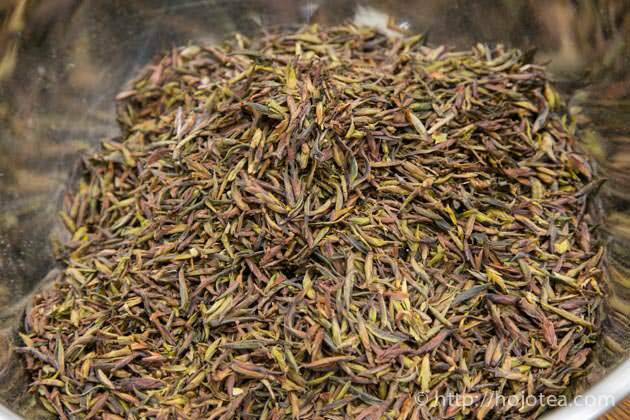 We just released Wild Spring Bud raw pu-erh mao-cha; it is the loose tea buds harvested from the wild tree at Da Xue Shan area. We had ever sold this tea last year. 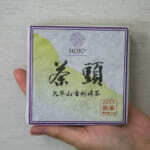 In last year we only introduced the mao-cha of wild spring bud only for the customer who made a reservation in advance and the balance was compressed into 200g cake. 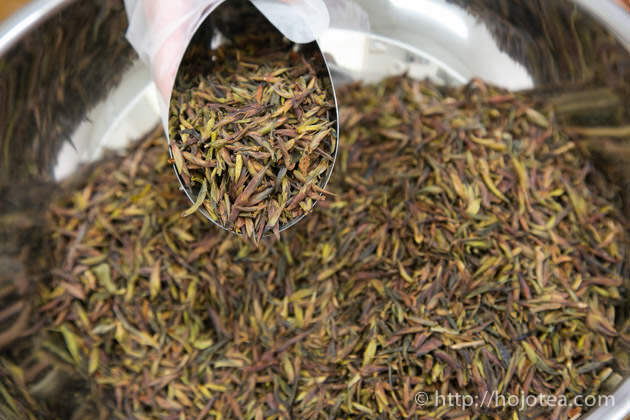 The Wild Spring Bud is literally the wild tea that is naturally grown in the native forest. It is not referring to the tea tree that age is like 500 years old or 1000 years old. 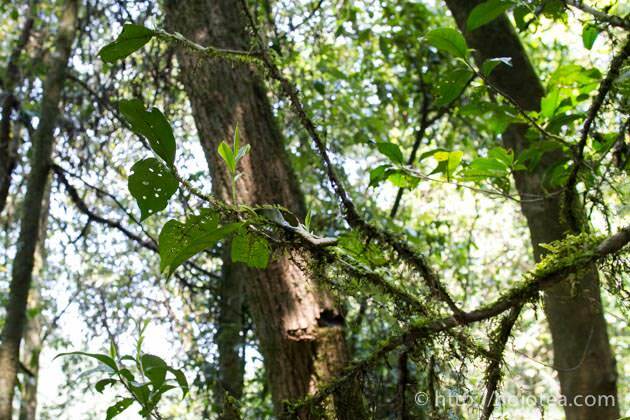 The wild tea means native plant in the forest. 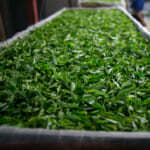 Our wild spring bud is harvested from Da Xue Shan area in Lincang city. 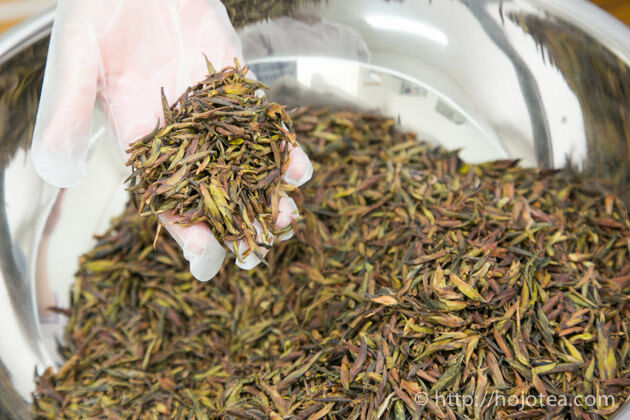 The tea processed from the first flush of young buds plucked in March is named as Wild Spring Bud and the tea processed from 1 bud and 2 leaves is named as Da Xue Shan Wild Tea. 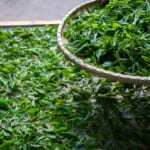 The wild tea exists not only in Da Xue Shan but also in Wu Liang Shan and Ai Lao Shan, and some are found at the border to Myanmar. 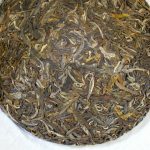 As far as I have experienced, generally the wild tea from Wu Liang Shan gives lighter taste in terms of body and after taste and the one from Ai Lao Shan gives the least after taste with slight bitterness. 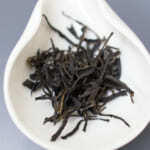 As for the wild tea from Da Xue Shan, it gives strongest after taste and body in general. 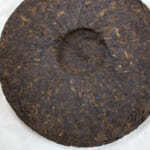 However, some of the Da Xue Shan wild tea gives bitter taste too. We selected the tea that gives no bitterness. 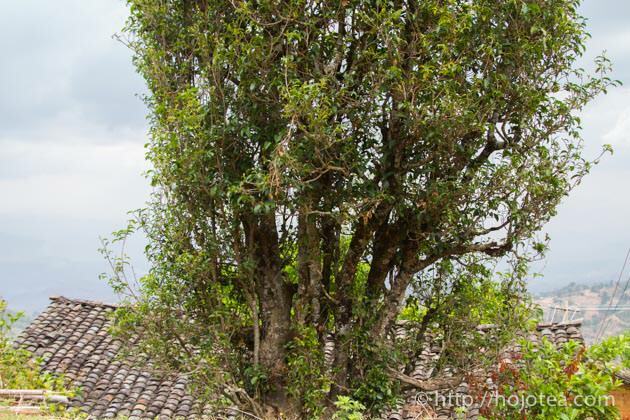 I saw the tree of Camellia taliensis when I visited the village in Lincang. 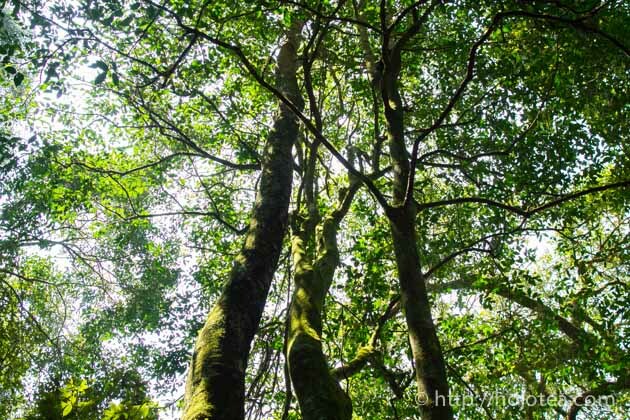 These tea trees already involve human care and it should not be called as the wild tea. 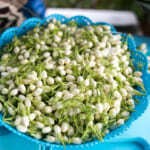 The flavour of the Wild Spring Bud is very sweet and clear that reminds us of grapes or green apple. 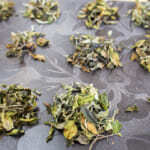 The body of this tea is moderate since it only consists of the spring buds. 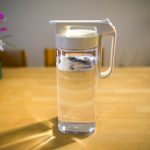 Instead, it gives a very clear and transparency flavour with lingering sweetish taste on our palate for a long time after drinking.